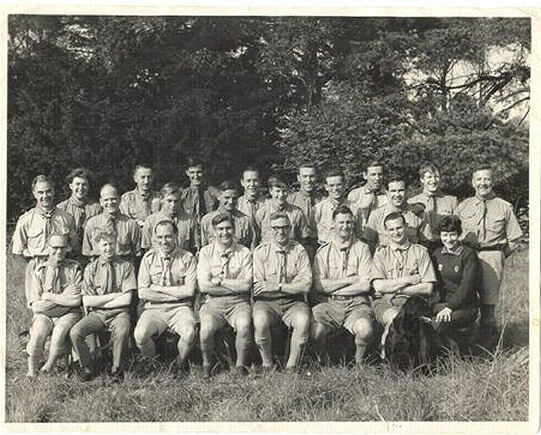 This photo was taken at a Scout training camp c1964. Many of the group were from Brighton and Hove, but I don’t have any names for them. 2nd from the left in the middle row is my old scout master, Vic Carter, who is still going strong. I saw him last at a concert I played in with Patcham silver band just before Christmas. It was great to see him, he was the scout leader of the Salvation Army scout pack in Brighton’s 36th Brighton Scouts. 4th from right front row is Cec Goddard, ran many, if not most training courses around that time.